The 6-month fundraising campaign to raise funds for the reconnection of the Keswick to Threlkeld Railway Path is now complete and we are pleased to announce that a total of over £130,000 has been raised. Following the floods in December 2015, the Keswick to Threlkeld Railway path suffered serious damage. Two of the old railway bridges that crossed the River Greta and around 200 metres of the path surface were washed away, and Rawsome Bridge was left at risk of collapse. The campaign was supported by the local community, with businesses, residents, visitors and organisations all playing their part. Donation boxes and campaign materials were displayed in 72 local businesses and many of these business carried out additional fundraising events including quiz nights, selling special products, and taking part in the K2T 5k challenge. Community organisations also got involved, making donations and holding events, including a railway path walk by Braithwaite School which raised over £300 and a national fell running event hosted by Keswick Athletic Club which raised £1,250 from proceeds. On midsummers day, with the support of Keswick Scouts, Keswick Anglers, Keswick Lions, Keswick Town Council and the Love the Lakes shop, a duck race raised a further £1,300 for the campaign. As part of the campaign The Lake District Foundation hosted its first ever charity auction night and raised over £8,600 from 40 lots. Local businesses and celebrities donated fantastic prizes including a day on the Lake District Fells with Alan Hinkes OBE; the first Briton to climb the world’s highest mountains, the fourteen 8,000m peaks. The Lodore Falls Hotel & Spa kindly donated the venue, canopies, reception drinks and £20 per booking to the campaign. Members of the public could donate online, by cash, cheque, or Text Giving throughout the campaign and 6 local residents set up sponsored events of their own. Adam Bazire, owner of the Threlkeld Coffee Shop, has raised over £2,300 to date or his challenge to walk the full route of the old railway from Penrith station to the former Keswick station.  Keep up to date on the latest developments, news and stories about the build, please visit the Lake District National Park news section here.